Description: Several licenced Fisher-Price books were made during the late 1980's and the 1990's. One of these books was a soft cover re-usable sticker book titled "Timmy's Birthday Party". FPT5223 - Soft cover re-usable sticker book titled "Timmy's Birthday Party". 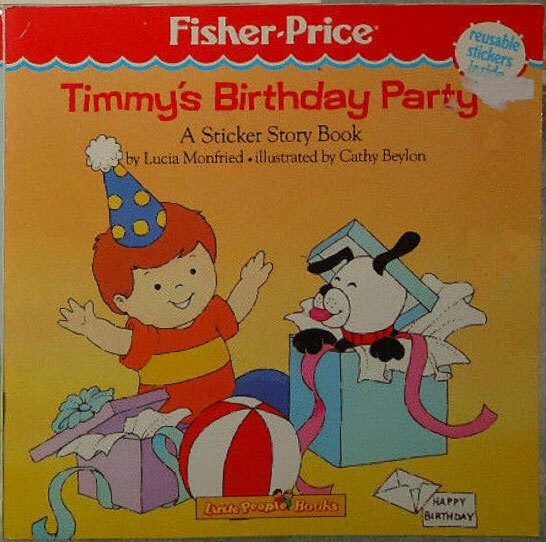 Also see Timmy's Birthday Party Book without stickers.